The effects of the over-exploitation and habitat loss of these “megafauna” species face—combined with disease, pollution, and global climate change—”provide mounting evidence that humans are poised to cause a sixth mass extinction event,” says a new study published Wednesday in the journal Conservation Letters. Human harvesting—including hunting for meat, gathering eggs, and unintended bycatching in fisheries—is the top threat to the nearly 300 species studied, all of which are on the International Union for Conservation of Nature’s Red List of threatened species. 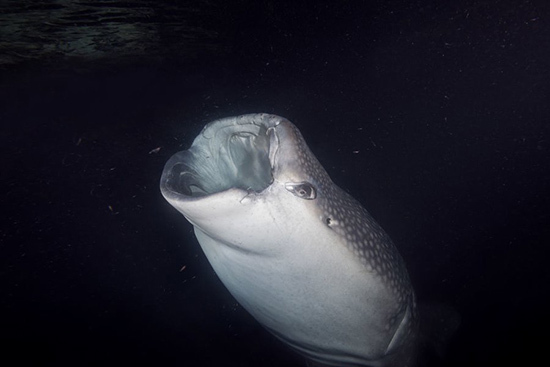 The study’s data includes many recognizable species like the whale shark, leatherback sea turtle, African elephant, Chinese giant salamander, and various gorilla, rhinoceros, tuna, and grouper species. According to the study, 70% of all those studied have declining populations, with and 3 out of 5 threatened by extinction. “Our results suggest we’re in the process of eating megafauna to extinction,” William Ripple, the study’s lead author and ecology professor at Oregon State University, said in a statement. These numbers mean bad news for more than just human food sources. Declines in these species will “jeopardize ecosystem services to humans and generate cascading evolutionary and ecological effects on other species and processes,” says the paper. Megafauna are particularly vulnerable due to the fact they typically produce fewer offspring and reproduce less often than smaller species, but education and global cooperation can promote recovery. Most great whales, for example, have seen improvements since the 1986 ban on commercial whaling. “We argue that any successful conservation strategy must consider minimizing the direct killing of megafauna as a priority solution,” reads the study, adding that “the impacts of such a strategy on food supply would likely be minimal, but economic values, cultural practices, and social norms might complicate the picture.” Thus, public education and legal measures are essential.